Make your Dollar Bill origami just a little more fun by turning it into a heart shaped mouse. 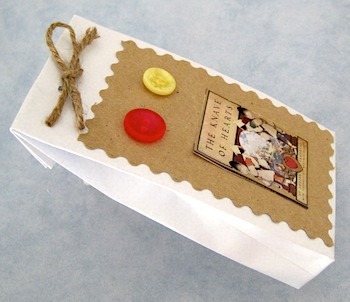 It will make a fun gift for Valentine’s Day, an Easter basket, or birthday gift. Or just a cute way to say, “I Love You”. Grandparents can send a Dollar Bill Heart Mouse to a grandchild for a surprise in the mail. 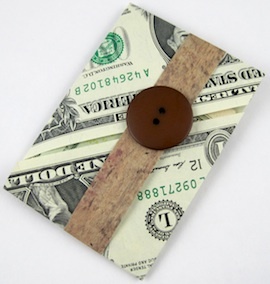 Follow the directions to make this Super Easy Dollar Bill Heart. Then add a few sweet features to turn it into a cute mouse. Of course, you can make the mouse from any denomination – a one, five, ten, or twenty dollar bill. It is so versatile. How to make a Dollar Bill Heart Mouse. 1. 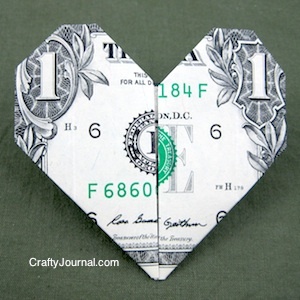 Fold a dollar bill into a heart shape using this easy tutorial. 2. Cut 3 pieces of black embroidery thread, each about 3 inches long. 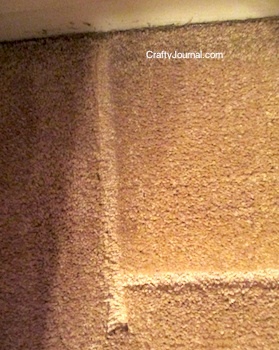 To stiffen the whiskers, put a drop of white glue on your fingers and run it the length of the embroidery thread. Set aside for a few minutes to dry. Repeat with each strand of embroidery. Using double sided tape, attach the center of the embroidery threads to the point of the dollar bill. 3. 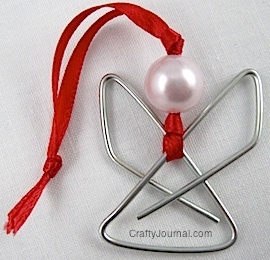 The nose can be made from a pink button, a pink pom pom, or an oval cut from pink card stock. Use more tape to attach the nose to the tip of the dollar bill, on top of the embroidery thread. 4. 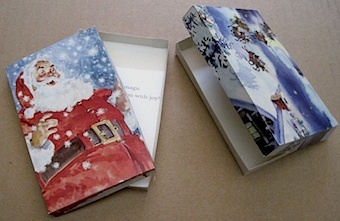 For eyes, you can use 2 pieces of card stock as shown on the left, or large wiggly eyes. Place the eyes on the dollar bill to see how you want them to look. I placed them so that part of the circle on the dollar bill underneath the eyes looks like eyelashes around the eye. Then use tape to attach them to the face. 5. If you want the mouse to look a little more feminine, you can also attach a bow. 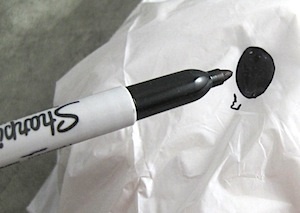 To make the mouse fit an envelope better, you can make the eyes and nose out of paper, so it will be flatter. 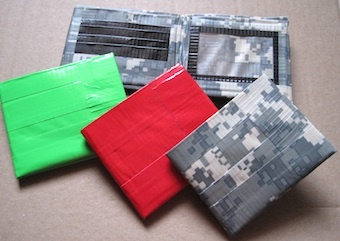 Just use small pieces of tape to attach the features, so they will be easily removed. I found the tape didn’t stick well to the pom pom, and preferred the button or card stock nose.